In the dramatically evolving marketplace, the skills, experience and motivation of employees can be a major competitive advantage. It is HR’s obligation to define the most valuable blend of technical and interpersonal characteristics and recruit, promote and evaluate based on them. Organizational performance capabilities consist of identifying and cultivating the behaviors, systems and processes necessary to enhance customer value and build leadership and technical skills. Departmental structures, information sharing protocols and compensation program design are just a few of the areas that HR can influence in order to establish systems which help to hardwire mission-driven action. When HR is connected to movement of the business, they can anticipate the changes in structure, expertise and procedures and can prepare the workforce for those transitions. This core role is the ultimate umbrella covering all of the other roles. Attracting and developing current and future leaders is a key component of HR’s talent management responsibility. Particular attention must be paid to the essential management characteristics that are unique to the organization’s internal needs and its position in the marketplace. HR plays an important role in connecting people cross-functionally and promoting a common language by emphasizing the company’s mission, vision and shared values. HR has the ability to inject this core ideology into daily events such as hiring and promotions, job descriptions, recognition programs, employee orientation and training, performance evaluations, etc. Rather than serving as “policy police”, HR can be chief facilitators of a culture in which highly ethical decisions are the norm and values considerations are embedded in the corporate psyche. Activities such as implementing training on ethics and professional codes of conduct, the promotion of independent decision-making; the encouragement of staff diversity and environmental awareness and to act as a coach for senior leaders as they navigate complex business decisions. This approach moves HR beyond simply understanding the business metrics. Organizations do not need another CFO or CMO, what they do need is an educated awareness of the human element across all disciplines and at all decision points. 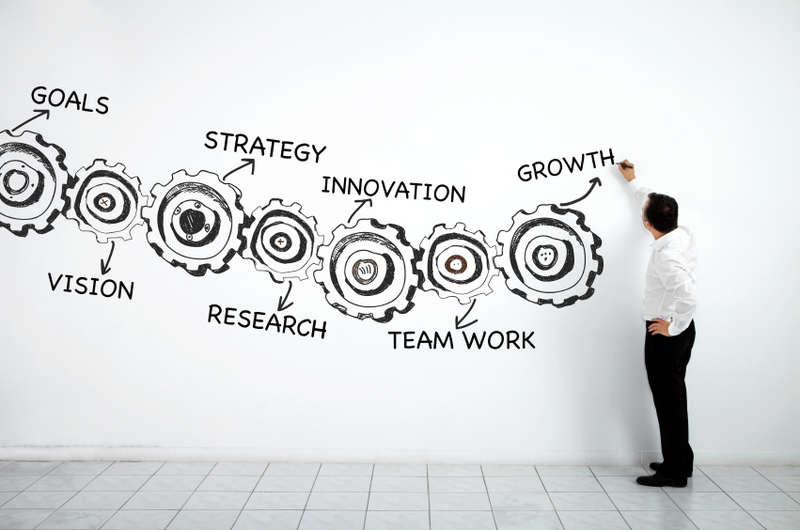 What do you do to align your HR strategy with your business strategy? This entry was posted in Human Resources Systems and Programs, Individual and Team Performance, Leadership Development. Bookmark the permalink.